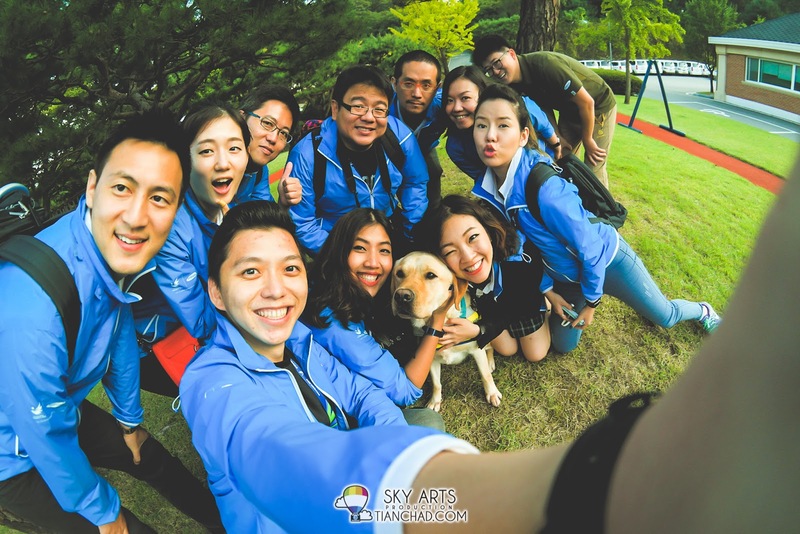 My Samsung Guide Dog School Experience in Korea - Love you River! 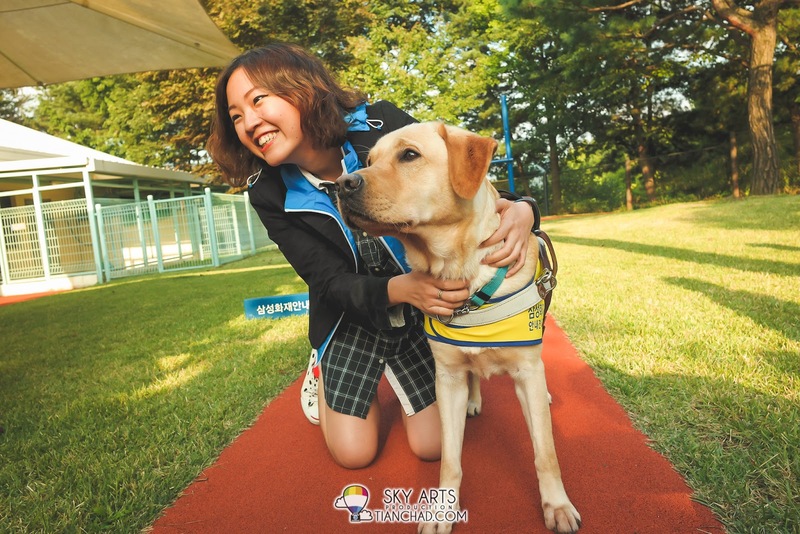 Samsung Guide Dog School (SGDS) is the only guide dog school in the world that is fully funded by a corporation, Samsung Fire and Marine Insurance. 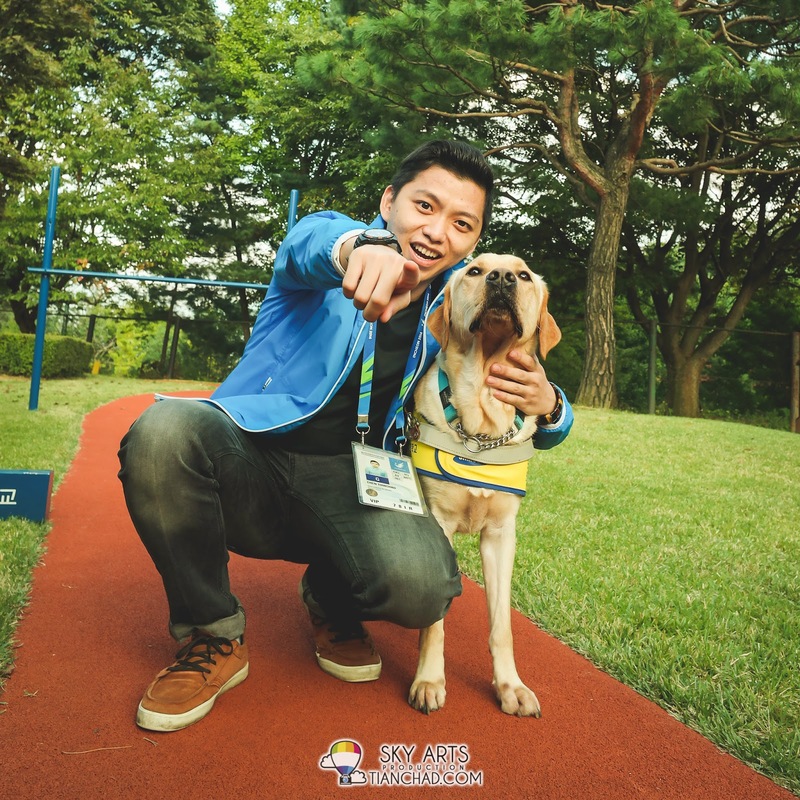 The goal of SGDS is to help increase independence and self-reliance among the visually impaired people of Korea thereby instilling the value of giving something back to the society. Open at 10:30 am every Saturday, programs for the general public allow visitors to visit the school facilities, watch the dogs in training and observe guide dog demonstrations. Guide dogs must go through several levels of training before they are matched with a user. The making of a guide dog begins as early as the breeding process, when dogs are selected based upon health and temperament to breed puppies for the SGDS program. When puppies reach 7 weeks old, they are placed with volunteer puppywalkers, who raise the puppies for about a year, socializing them in various environments. Next the puppies are brought back to the SGDS for formal training. Upon passing an assessment test, the puppies enter a formal training program, which takes several months to complete. They are trained to safely guide a person in different environments, including busy city centers, residential areas, business districts, shopping malls, and on public transportation. These formal training programs are the ones that can be observed weekly by visitors to the school. 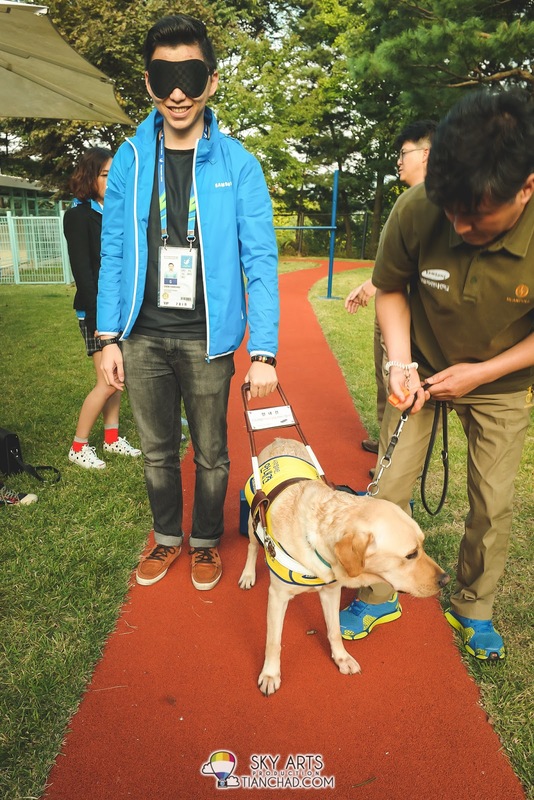 After passing the training program, guide dogs are matched to a user and the new duo will undergo a 4 week training course to help the team acclimatize to working with one another. 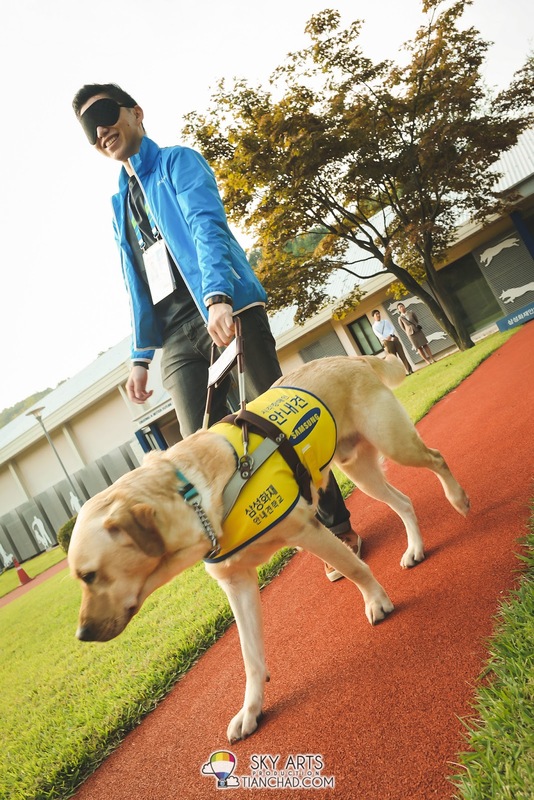 As a school officially recognized by the Korean Ministry of Social Services and Welfare to train guide dogs, the Samsung Guide Dog School is a full member of the IGDF. Since its launch in 1994, based on proven and tested training methods, the school graduates 15 guide dogs a year and donate to the visually impaired free of charge. The school maintains partnerships with well established guide dog schools and organizations around the world and doing our best to train the finest caliber guide dogs. 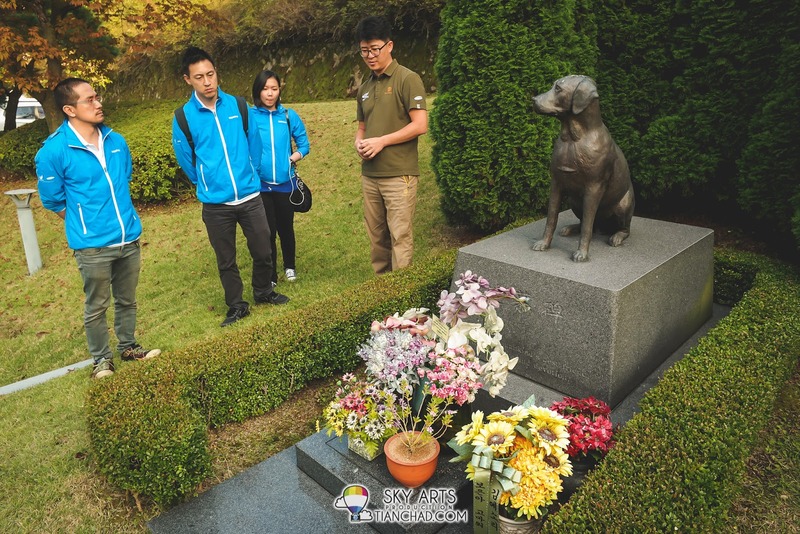 From puppy to when dogs retire, the school with its base of volunteers works to foster the growth and spirit of respecting life and all living creatures. They are super friendly to us!! 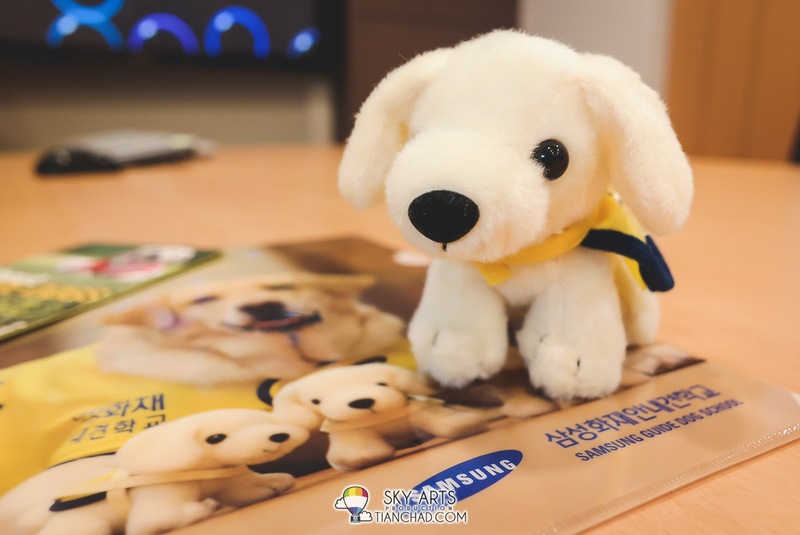 At first, we were given briefing about Samsung Guide Dog School and watch videos of how guide dogs was being raised. From puppies (with adoption from kind family members) to being trained by the professional in Guide Dog School, guide dogs was trained to be a very loyal friends to human. Hence people who are afraid of dogs do not need to worry being attack by them. To be honest, they are the angels and they won't know who is the bad human. Which is why Samsung Guide Dog Association will do a thorough background check on the potential new owners of the guide dogs every year to protect the guide dogs as well. Guide dogs who meet their old age and leave the world will eventually being returned, cremated and their name will be carved at this sculpture for remembrance. Imagine the guide dog spend their whole life serving human. They do deserve all these respect!! 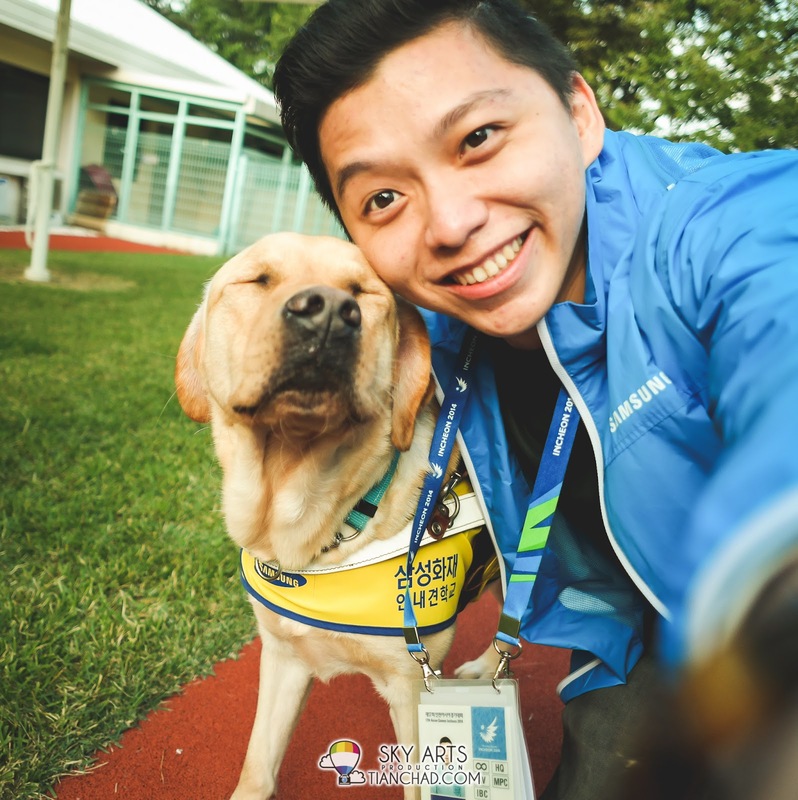 Thanks to Samsung, we social casters from Thailand, China and Malaysia get to have this exclusive chance to be guide by the well-trained guide dog at Samsung Guide Dog School. His name is River!! Being guided by the guide dog is something you can only feel here. You feel helpless when you are blindfolded but when there's guide dog it seems like your life still got hope with it and angle is leading the way. 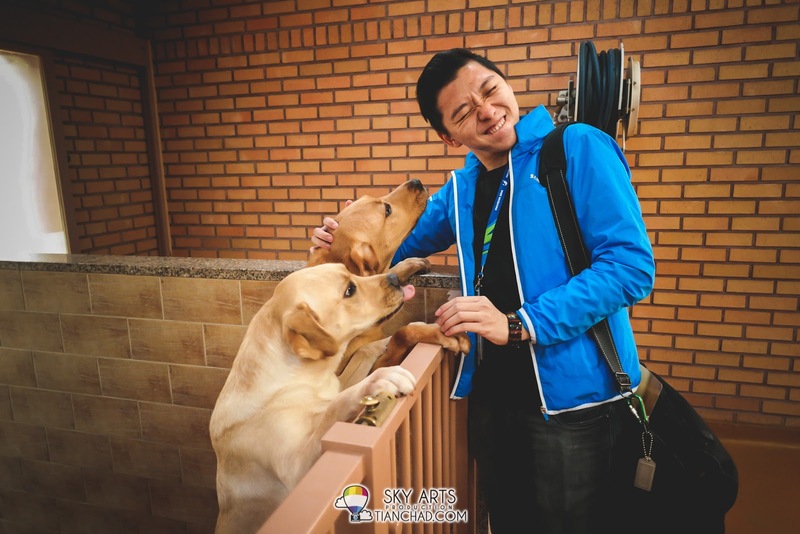 These adorable guide dogs will definitely makes visually impaired person's life easier. 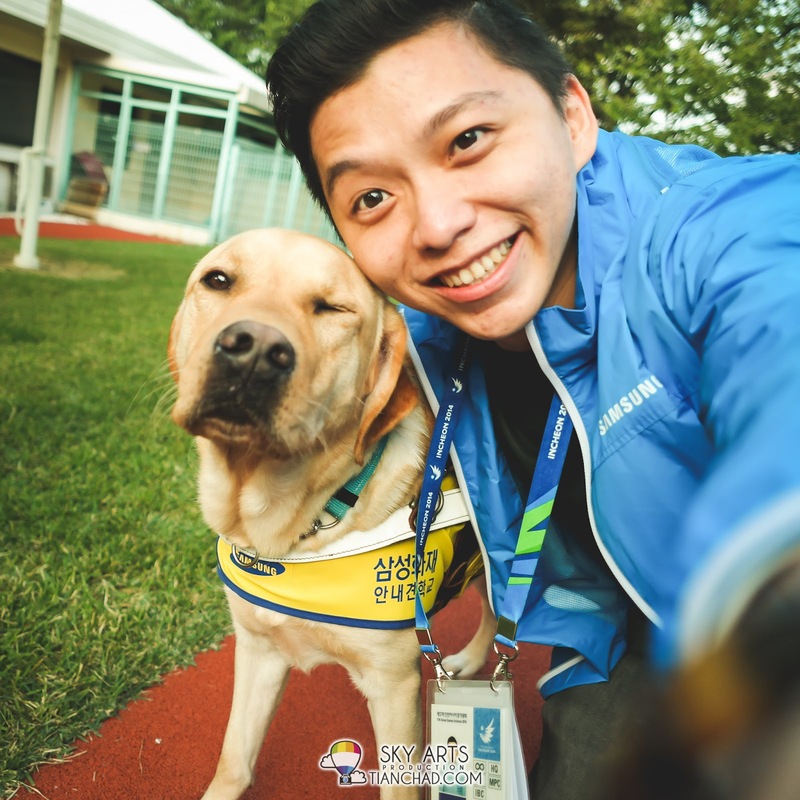 "River, look at the camera =D"
#TCSelfie with River, the guide dog in SGDS and Team Samsung + Social Casters!! I will definitely remember this moment for my whole life and thanks again to Samsung for this. 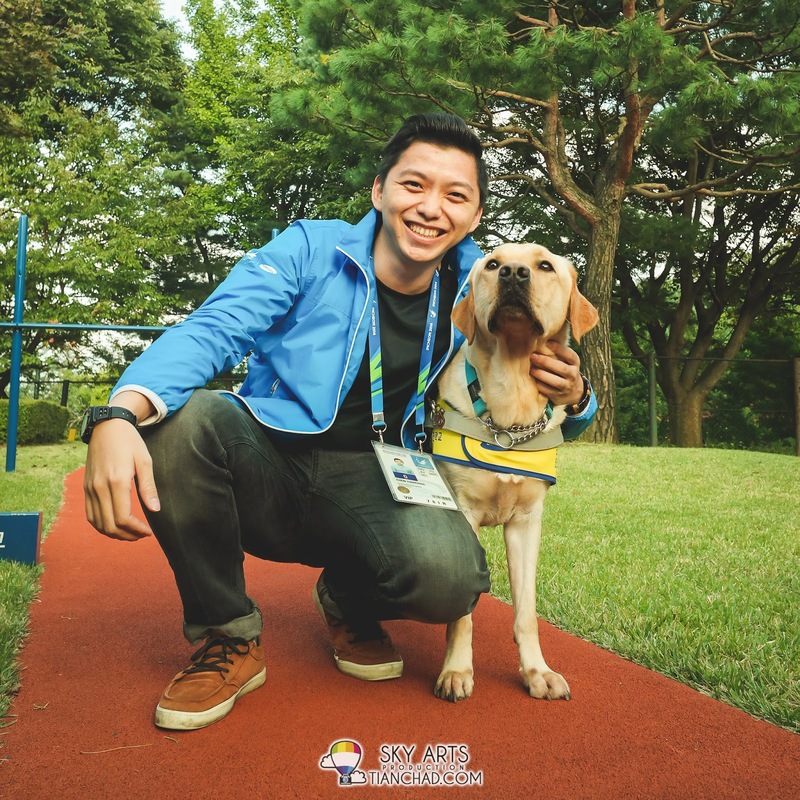 I hope that in future there will be a Samsung Guide Dog School in Malaysia and this will definitely makes many people happy. I know it is not easy but with supports from both volunteers and Samsung, I am sure this is gonna be awesome. See you next time River! For more information about SAMSUNG's animal related programmes, visit websites below.